Lock in a great price for Camelia Rooms – rated 8.8 by recent guests! Had an excellent experience! Super quiet! Clean and also comfortable! Owner seems really friendly which I totally like! Definitely would recommend this place ! The community is really peaceful and quiet. The host made me feel at home and was very helpful. I had a really nice stay. The owner of the property, Claudia, was very friendly and accommodating. The apartment is very spacious with big sitting room and bedroom .Very comfortable bed and big closet.It has a nice porch for smoking area.My host was very welcoming and nice. The area (Mona) is very safe and very close to UWI campus. The friendliness. very clean and convienently located. I liked how the host made us feel welcomed the moment we got there. The room and bathroom were clean, bed was comfy and basic stuff provided. Great stay! I loved the location, it's private and comfortable. Staff was great. The price and place was perfect for my short stay. Room was clean,the bed was comfortable. Claudia was an excellent host who made my stay in Kingston quite enjoyable. The room and house were exceptionally clean and I would not hesitate to stay here the next time I’m in Kingston. One of our best sellers in Kingston! 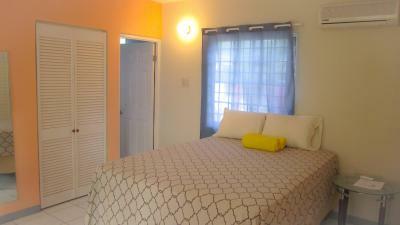 Camelia Rooms is located in Kingston. It offers free WiFi access and a patio. Kingston Airport is a 25 minute drive from this homestay. A fan and closet are offered in each room at Camelia Rooms Kingston. Rooms offer a private bathroom or shared bathroom. This property provides a terrace and a shared kitchen. Other facilities offered at the property include a shared lounge and laundry facilities. 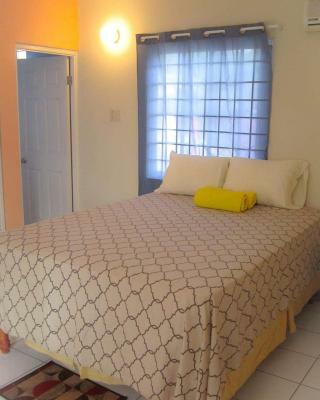 Camelia Rooms Homestay is 5 minutes' drive from Sovereign Center, 2 minutes' drive from University Of The West Indies and 3 minutes' drive from Hope Gardens. Others neabry areas of interest include the US Embassy (2 minutes drive), Devon House (10 minutes drive) Portmore Beach (25 minutes drive) and the Bob Marley Museum (10 minutes drive). When would you like to stay at Camelia Rooms? This double room with private bathroom has cable TV and a fan. A/C for an additional cost. This double room has a Queen bed, fan, closet and features a shared bathroom. 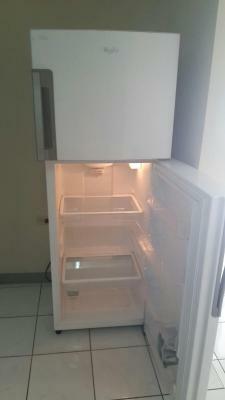 This self-contained apartment has an private bathroom, fully equipped kitchen, a fan, cable tv and wifi. A/C for an additional cost. House Rules Camelia Rooms takes special requests – add in the next step! Please note that guests must provide an arrival time for check in, since it won´t be available without an appointment. A prepayment deposit of 70% of your stay will be required to secure your reservation. Please inform Camelia Rooms of your expected arrival time in advance. You can use the Special Requests box when booking, or contact the property directly using the contact details in your confirmation. It was my birthday weekend and their was no where else in Kingston I would stay. I wanted some chill time during the day and easy access to going out in the nights. The location is perfect for me and the owner she is nothing short of amazing. She makes you comfortable. My room was perfect . The bed was comfi and I had my own bathroom. Claudia is a rare gem. Very accommodating, friendly, but professional. It wasn’t as smart and bed linen looked unwashed.and No electric jugs in the rooms to make a cup of tea. We were afraid of safety in Kingston. Owner informed us to not go to the city center (criminslity). Good place for short time in Kingston. Claudia is friendly and talkative. She offered us soursop juice and we got banana chips when we arrived. House was clean, we had our privacy and could use everything in kitchen.